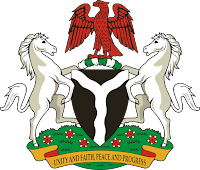 The Federal Government has called on all Nigerians to shun violence and acts capable of disrupting peace in the country. Minister of Interior, Lieutenant General Abdulraman Dambazau (rtd), in security alert released, on Tuesday, warned individuals and groups who take laws into their hands to unleash terror on innocent citizens. He spoke against the backdrop of the ongoing protest in Kaduna by Shiite Islamic sect, following alleged arrest of its leader. The minister assured Nigerians of maximum protection of their lives and property in all parts of the country, a statement by the Permanent Secretary, Ministry of Interior, Mr Bassey Okon Akpanyung, said. He said this was in line with the Fundamental Objectives and Directive Principles of State Policy as encapsulated in Chapter II of the Constitution of the Federal Republic of Nigeria 1999. Dambazau said the Federal Government respects and upholds the fundamental human rights of all citizens. He said: "For the avoidance of doubt, the Federal Government will continue to protect citizens' rights to assemble freely and associate with other persons without hindrance, protect the freedom of thought, conscience and religion and protect the freedom of expression. "However, every citizen is under obligation to recognise and respect the rights of his or her fellow citizens, especially on matters regarding public order, safety and security. "No serious government will fold its arms to allow security breach of the kind which threatens the peaceful coexistence and sovereignty of its society. "It is therefore imperative to remind ourselves that as long as demonstrations or processions are peaceful and do not infringe on the fundamental rights of others, the government will, as a matter of principle, direct security agencies to protect the individuals or groups involved in such demonstrations or processions. "Democracy has provided vehicles through which citizens can convey their grievances without resorting to violence, and in our particular case, there are state governments and their assemblies, representatives and senators of the National Assembly and the judiciary. "It is expected that persons with grievances take advantage of using these opportunities instead of resorting to violence. "Our experience at least with separatist groups (such as Biafra Movements) and religious extremists (such as Boko Haram) in the last few years depicted individuals or groups taking laws into their own hands, situations that sometimes led to violent clashes with security agencies."